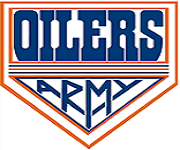 OilSoup: New Oiler Jason Arnott? Well it's been a few weeks since the Justin Schultz signing and there has been next to nothing happening on the Oiler front. Well that's about to change. It appears Tambellini is sending out feelers about our beloved Sam "8 points" Gagner. Media hounds believe the Oilers are in desperate need for a top 4 defenseman and no team is interested in dealing for an injury prone Hemsky or even an underachieving Paajarvi. If the Oilers are serious about inquiring a top defenseman, than Sam maybe the only option. These rumours have some validity, particular the rumour that involves the Oilers and Jason Arnott. If the Arnott rumours are true than one would have to conclude that the movement of Gagner is inevitable. As my friend the Architect would say, "it is the logical chain of events." The possibility of Tambellini signing Arnott could very well be the best move the Oilers could make this Summer. It makes perfect sense, the Oilers need a big second line centre who can win face-offs and play against the opponent's top line. Arnott would provide much needed veteran leadership, something that the team is currently lacking. Last year I was a huge advocate of the Oilers signing Arnott, of course last year I didn't have a blog so you'll have to take my word for it! Last Summer I was one of those fans who felt Ryan Nugent-Hopkins should have played one more year of Junior and signing Jason Arnott to last years team made more sense. This year, I can be held accountable for my actions and it makes as much sense this year to sign Arnott as it did last year. Arnott would look great playing behind the Nuge! So if the Oilers do find that big second line centre, what happens to poor Sam Gagner? There is a lot talk that he may be involved in a deal with the Coyotes Keith Yandle or perhaps the Flames Jay Bouwmeester. Now this is where I believe the rumours are a bit of a stretch, in fact I have an insight that contradicts these rumours! One of the reasons why Tambellini has remained quiet, is because he's waiting to see what happens to Roberto Luongo. What does Gagner have to do with Luongo? Whoever steals Luongo, cough "Panthers" cough, could be enticed to move a top prospect goalie. If Luongo does end up in Florida, than there is no need for the Panthers to keep Jacob Markstrom. You're probably wondering what I've been smoking but I truly believe that Tambellini is waiting to see what happens to Luongo. Sure the Oilers themselves could be interested in Luongo but I don't believe Steve is willing to take on that contract. I'll talk more of this in my next blog but for now lets hope the Arnott rumours become more than just rumours.